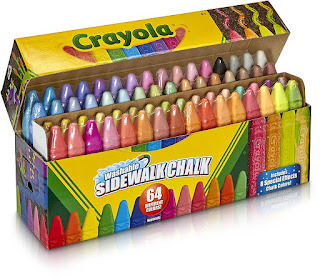 Head over to get this Crayola Sidewalk Chalk, Washable, Outdoor, Gifts for Kids, 64 Count for ONLY $6.71 (Retail $8.99)! **This is available at Target with $25 order. I ordered a few of these to get this low price - I plan on keeping a couple and then donating some to my son's school for field day!